Schrade 1st Response Assisted Opening Rescue Knife | BUDK.com - Knives & Swords At The Lowest Prices! 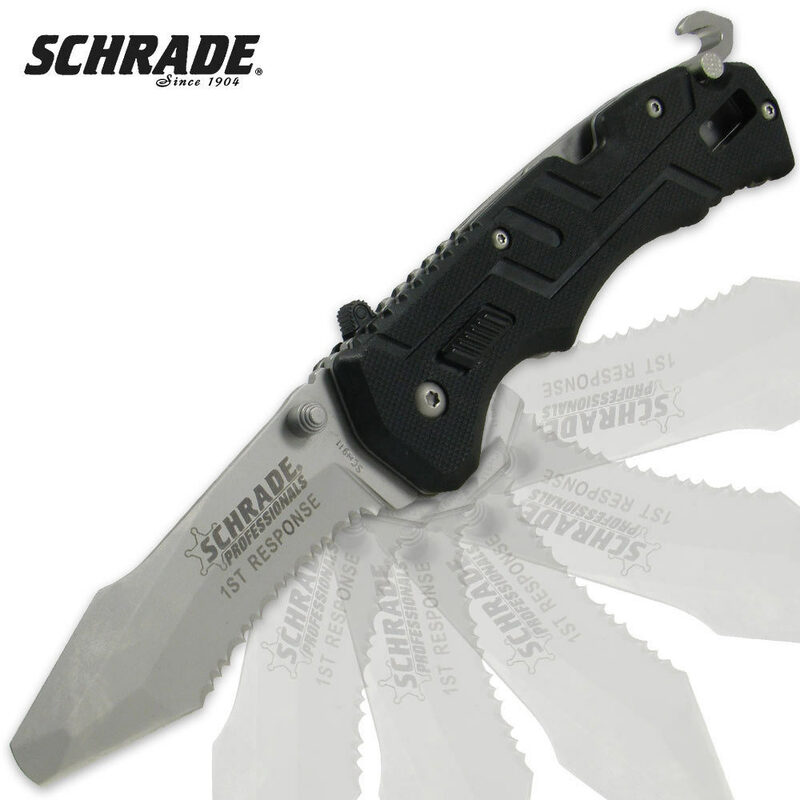 Schrade&apos;s 1st Response assisted opening folder is an excellent item to have in your hand during an emergency situation. This knife incorporates the patented MAGIC Assisted opening technology for rapid release operation with a double lock switch and finger actuator to release the blade safety, open the blade instantly, and lock the blade open with just one hand.